DLE Process Servers is the answer to all your process serving needs. We are committed to provide our clients with superior service that will allow you to spend more time on what is really important. We will deliver you with prompt, accurate and diligent service to meet your business needs. At DLE Process Servers all our clients will be treated with the same level of professionalism at every point of contact. No more worrying about your service needs, you can count on DLE Process Servers!, We make it happen! Located in Miami-Dade county, we personally serve process in Broward, Miami-Dade, Monroe and Palm Beach. 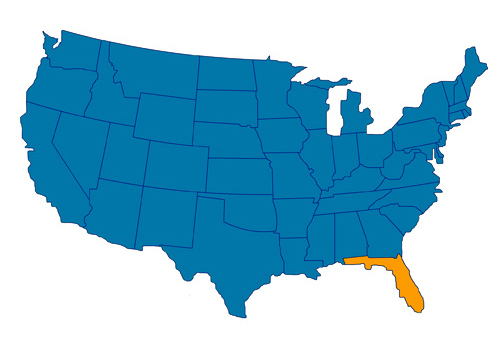 In addition we cover all Florida’s 67 Counties and the entire country. 24-hour tracking down system. Real Property and vehicle trace. Do you need a fast, reliable, civil process server that actually communicates with you on a regular basis? DLE Legal is here to help. Voted one of the top process serving companies in South Florida by the Daily Business Review, DLE Legal can provide process servers to deliver your subpoenas and documents on time and with constant communication. Our founder is a Process Server Specialist when it comes to hiring quality staff. Using our specialized technology, our servers update you every time the status changes on a service. You can also submit work to us in the whatever way is most convenient to you – we can pick it up, you can proofread and submit it through our online portal, you can email it directly to us, or even fax it!